Meet the Masters art education program includes 35 artists selected for their significance in history, their representation of major periods in art and their various art elements to be explored. Studying these artists provides an avenue to make cross connections with other elementary subjects. Studying Michelangelo Buonarroti teaches elementary students about art and history. Students learn about Pope Julius, who was the powerful leader of the church in Rome, Italy, in the early 1500s. The Pope wanted to build beautiful churches and statues in Rome, so he hired the talented sculptor Michelangelo. But the Pope had another project in mind. His vision was for the ceiling of the Sistine Chapel to be covered with people and stories from the Bible, so parishioners would be inspired. 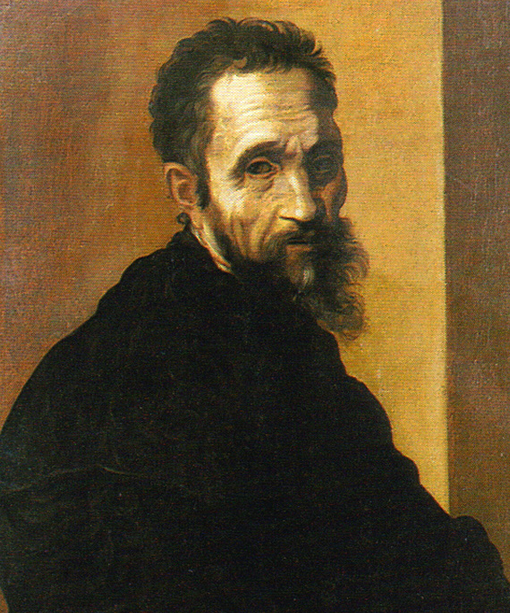 Michelangelo had spoken of his dislike for painting often, and spent months trying to change the Pope’s mind. He finally gave in and created one of the most unique and famous works of art in the whole world. The children stand up, tilt their heads back and raise their arms to the ceiling to imagine how Michelangelo felt for the four years it took him to complete this masterpiece. They learn about the special technique Michelangelo used, called fresco, applying fresh layers of plaster and painting it quickly before it dried. They analyze the painter’s incredibly realistic details. Over 500 years later, millions of people visit the Sistine Chapel each year, in awe of this historic masterpiece. Students also learn more about what the world was like in Michelangelo’s time, bringing history to life. It was a new age of thinking, learning and art called the Renaissance, which means rebirth. Scientific discoveries and inventions flourished. Explorers were navigating the New World, the most important voyage being the discovery of America by Columbus. In addition to his other artistic talents, Michelangelo was also a famous architect, most notably for his innovative design of the great dome of St. Peter’s Basilica in Rome. It was used as a model for domes throughout the western world, and five hundred years later it is still the tallest dome in the world. Now it’s time for the students to use some of Michelangelo’s techniques to become budding architects. 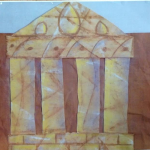 With their self-guided worksheets, students learn how important it is for buildings to have a foundation, drawing bricks as Michelangelo would have in his renderings. 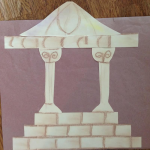 They mimic the designs that were characteristic of decorative columns during the Renaissance. The children are excited to become architects, designing and constructing their own Renaissance building. 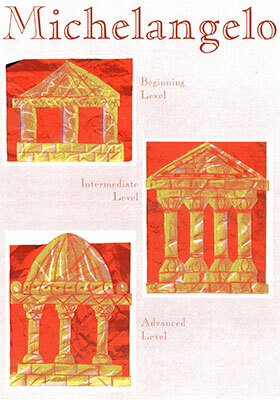 Using a unique process, students begin by creating a marble effect on their paper, then add bricks for the foundation and tall columns to hold the roof or dome. When all of the building components are complete, they use another unique process to add texture to their background. 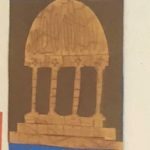 Students determine their architectural design by carefully placing the brick foundation and marble columns, keeping some sections unglued so it appears three-dimensional. Pattern designs are added to the header and the top of the columns to provide details and decoration, just as Michelangelo would do. The children display their creations, proudly earning the “Magnificent Michelangelo” award. Michelangelo was an incredible painter, sculptor and architect, and an important historical figure. A Renaissance genius, his place in history is secure as one of the greatest artists of all time. 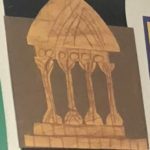 Learn more about our Michelangelo art project.